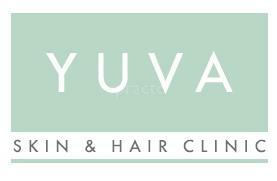 Welcome to YUVĀ Skin & Hair Clinic’s official site that offers you all the benefits from my 35 years in the field of cosmetic dermatology. We are deeply committed to providing you with valuable advice on skincare, hair care and nutrition in order to help you attain long-lasting results. Join me on this journey that will help you achieve radiant skin, lustrous hair and most importantly, a healthy lifestyle." I would not like to recommend this clinic to anyone. I had a pathetic experience and I am scared that my face will be with such dark patches for a very long time *** ** *** ***** ******* ********** Junior doctors will assure you that everything will be fine. It takes more time than the your skin will take normally to get recovered. My skin was better before but due to *********** peeling treatment my face has started looking ugly. I trusted the doctor and kept on taking the required dosage , not it's been 20 days there is no difference in my skin. My appointment also got canceled without informing me about rescheduling it. * **** **** ***** ****** ****** ** **** *** ** ***** ** ***** **** ********** My hair fall also got increased. I have also lost my money and my time. I got an appointment booked for a haircut, when I reached there, the stylist was busy.